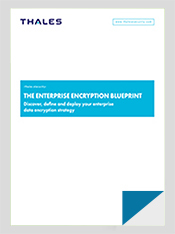 You’ve been tasked with setting and implementing an enterprise wide encryption strategy, one that will be used to guide and align each Line of Business, Application Owner, Database Administrator and Developer toward achieving the goals and security requirements that you define and set forth as the model for your organization. A daunting task, for sure, but one that is certainly very achievable. If you have immediate questions, email us at [email protected] or call us at +1-888-267-3732.